Now that January has come and gone and a bunch of companies and what not got a small fortune from me it's time to make another list of future purchases. If you are interested in my previous list you can take a look here. 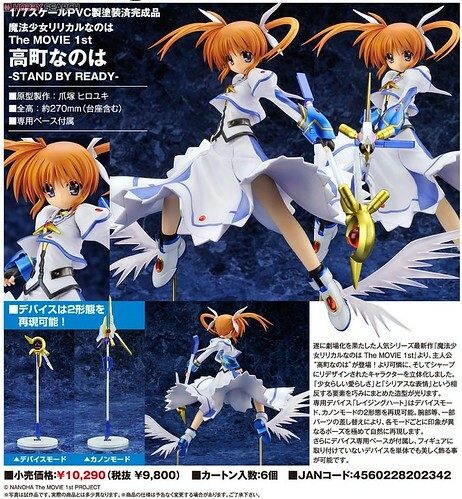 After the overly expensive January with so many game releases and Alter's Exceed Mode Nanoha plus an unexpected purchase looks like March will be the same now that it has been pointed out to me Nanoha was delayed to March. Right now there are three characters that I love to death. The first is Kos-Mos from Xenosaga, the second is Nanoha and the third Reimu. Alter is my current favorite figure maker, there is no way I will be missing a release of any of those three girls by them. While February is mostly empty March will be a killer for me thanks to game releases and these 3 figures. I like K-On! moe blob show or not I enjoyed it with my favorite character being Yui. I already got her nendo and plan on getting this scaled release of her. 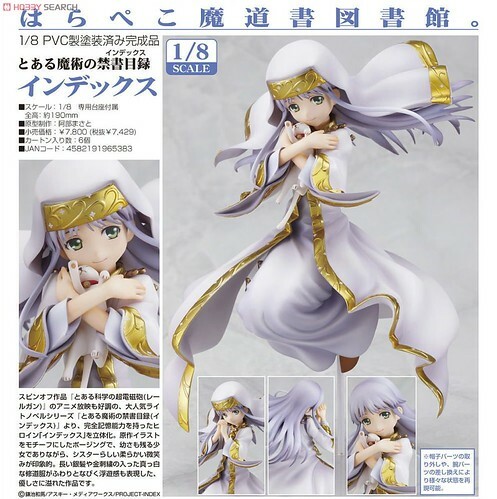 Already got her pre-ordered at Hobby Search for 6460 yen. Next up is the garage kit turned PVC figure. 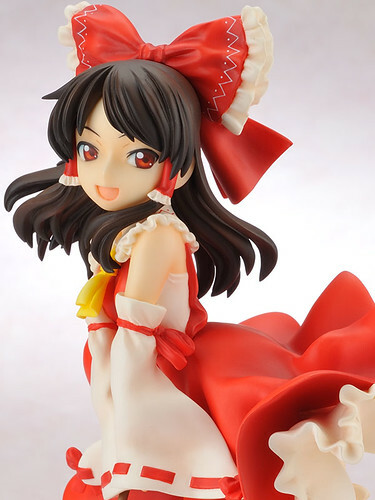 I really love the face sculpture on this figure plus Reimu being one of favorite characters makes a nice combo for me. 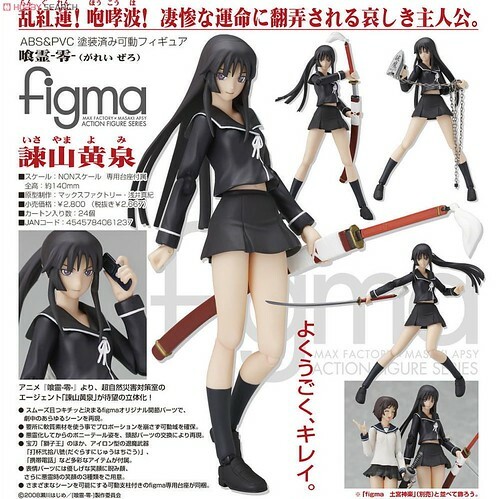 Should go pre-order her soon at Ami Ami for 7140 yen. I still got my sights on GSC's Index although I haven't decided yet if I will pick her up. 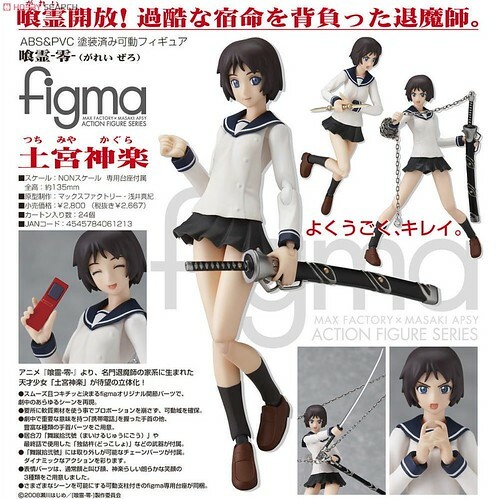 She has a current price of 5950 yen over at Ami Ami. Total for March 28 275 yen. Stupid K-On! for being so popular. 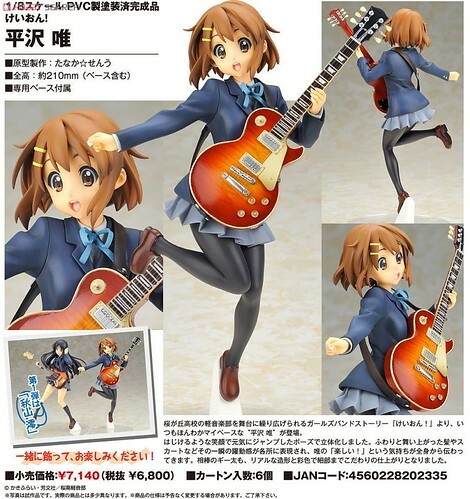 When Yui went up for pre-orders she sold out before I could even load the page. Luckily for me she went up again this week with an April re-release. I do plan on getting the rest of the girls to complete the set. 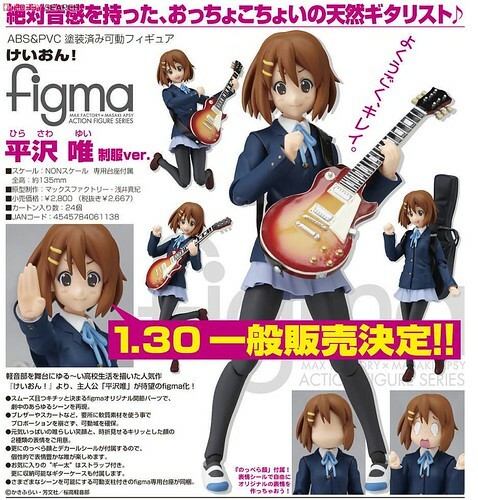 Yui is now hopefully safely pre-ordered at Hobby Search for 2,266 yen. From the much under appreciated show Gai-Rei Zero comes the protagonist Kagura Tsuchimiya. Go watch that show, it was awesome and has one of the best hooks for a first episode. She retails for 2150 yen. Total for April 4416 yen. The main reason I liked Gai-Rei Zero so much has to be Yomi Isoyama. She turned out to be one of my favorite tragic villains in recent memory. Did I say to go watch this show? You should. She is up for 2150 yen. Total for April 2150 yen. There you have it a much shorter cheaper list than before. Thanks in part to it being half figmas. Now time to go to save money for March and the rest of the year.